Today I’ve been doing a lot of thinking about how I got where I am right now. When did I change my mindset and find the determination to finally do something about my weight. I came to the conclusion that it was not one big change, but a culmination of a lot of small changes. The first small change I made was to commit to walking my dog around my condo complex 3 years ago. It got me moving and tired out my hyper little dog. After a few months of that I decided to buy an elliptical trainer. That got me started enjoying early morning workouts. I did that for a few months and discovered the Body For Life Program, which introduced me to HIIT and the importance of strength training. Which later lead me to try circuit training. As for my eating, I decided to eat only the recommended portions listed on the nutritional information found on the packaging of the foods I ate. That lead me to control my portions, which in turn gave me the idea to keep a food journal , recording the portions and calories of everything I ate. I started trying different foods and recipes I found on food blogs, and that made me realize how different foods made me feel better and more full than others. That discovery sparked my curiosity, and motivated me to try new foods, to buy more produce, experiment with recipes, and to swap out some of the processed foods I’d been eating and replace them with more fruits and veggies. Every time I made a small healthy change, it lead me to another small healthy change. 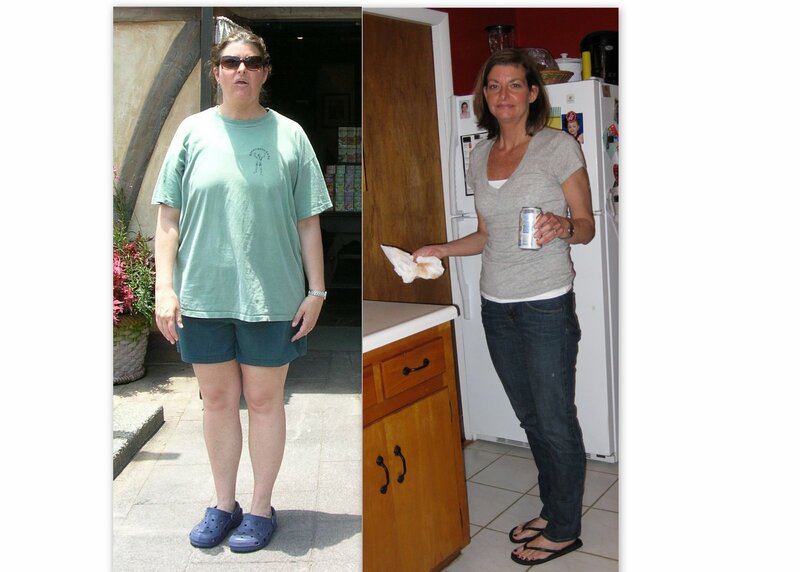 All the small changes added up and became one big healthy lifestyle change. I like to think that I am still , and will continue making the small changes, trying new activities, continue to learn about and make better and better food choices. It is so important to make that first small change, not matter what it is. That one small step will begin a chain reaction, causing all sorts of wonderful changes to naturally follow !